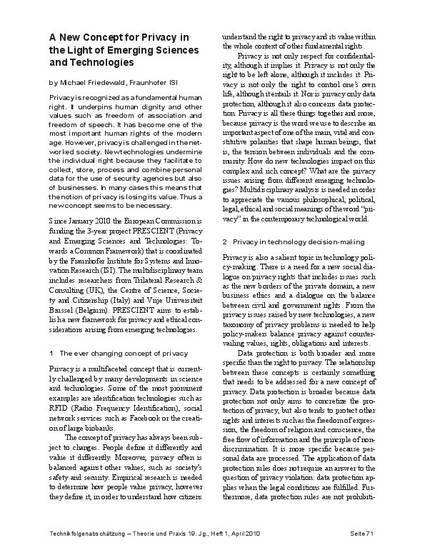 Privacy is recognized as a fundamental human right. It underpins human dignity and other values such as freedom of association and freedom of speech. It has become one of the most important human rights of the modern age. However, privacy is challenged in the net- worked society. New technologies undermine the individual right because they facilitate to collect, store, process and combine personal data for the use of security agencies but also of businesses. In many cases this means that the notion of privacy is losing its value. Thus a new concept seems to be necessary.